All are welcome to join us every Wednesday! We are bringing back "ALL IN WEDNESDAYS." You're invited to come and join in. Everyone is welcome; we are combining all of our programs together on one night at Laguna Woods. 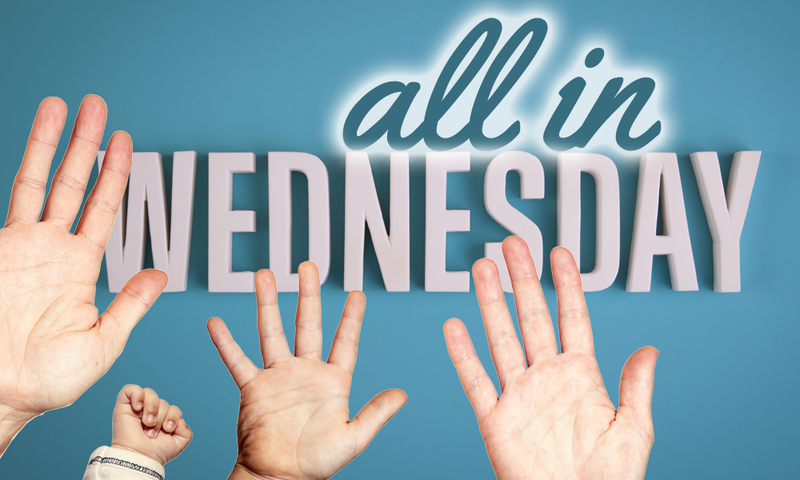 So if you worship at Aliso Viejo, come to Laguna Woods for "All in Wednesday". There is something for everyone, bring the whole family.